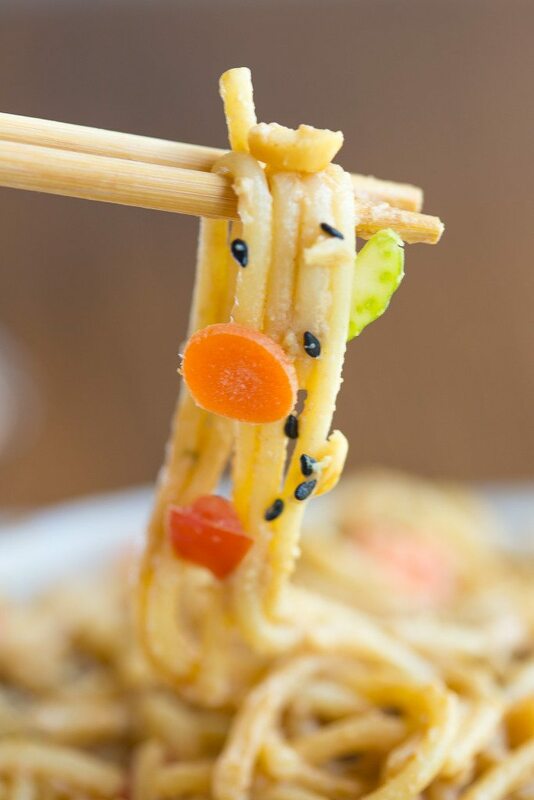 Spicy Thai noodles are a quick and easy dinner recipe that can be ready in under 15 minutes! The smooth, velvety peanut sauce mixed with the crunch of the fresh veggies will make you want to add this delicious vegetarian dish to your weekly meal plan. Who doesn’t love a good noodle bowl every now and again? My dad goes cuckoo-cachoo over this dish, it is his by far his most favorite recipe I make, and since I went home to Charleston this past week for a follow-up appt for my back, I made this for him because he begs for it nearly the entire 6 hour car ride home. This is one of my signature dishes I’ve been making for years, and I’ve always wanted to post on the blog but never have. Going home turned out to be the perfect opportunity to do so since my parents already had the ingredients ready for me in their fridge. Plus Owen usually clings to his Amma & Papa like a sand spur to bare feet, and I have a built in baby sitter so there’s also that. But that didn’t seem to help matters much when it came to picture time. Those are oreos on his fingers, not dirt, BTW. Little, precious monster. 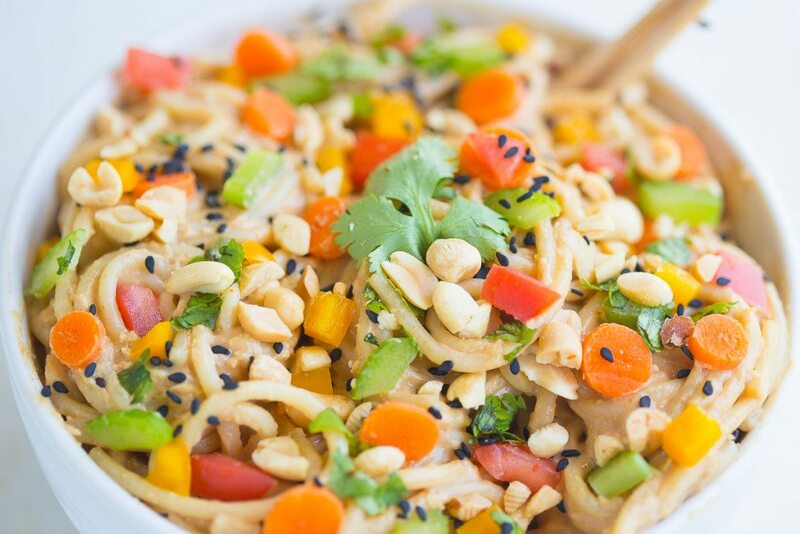 These thai peanut noodles come together so quickly and can be eaten either hot or cold. My dad is at the table with fork in hand the second the scent of fresh ginger pings his nostrils so he usually eats them hot the first night then eats then cold the next day. It is also kind of one of those recipes that gets better as it sits too, ya know? 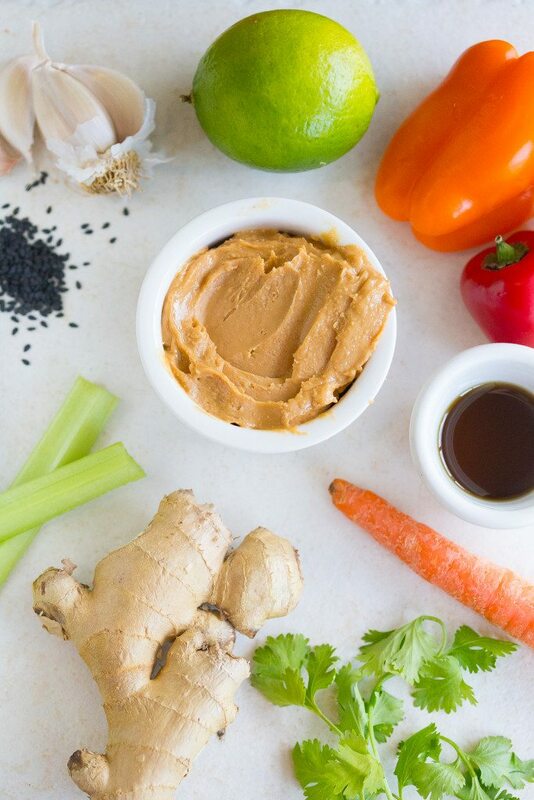 To make the spicy peanut sauce, you really don’t have to do too much prep at all. Just throw all of the ingredients into a food processor or blender and let the machine do the work for you. When it first comes together it’s going to be a bit thick and you’ll probably think you’ve done something wrong, but don’t fret! It’s supposed to be that way. Put the sauce into the bottom of the bowl then ladle over some of the hot cooking liquid from the noodles. When you whisk the water in, the peanut sauce will smooth out into the most velvety and rich condiment you’ve ever seen. It’s really quite magical to watch. I am of the belief that the starchy water used to cook pasta is a magic potion in and of itself. Whenever I boil noodles, I always reserve a cup or two of the liquid and add it as needed to my pasta dishes. It helps sauces stick to noodles and it gives the dish a rad richness you just can’t replicate. Things have been so crazy on the home front lately. 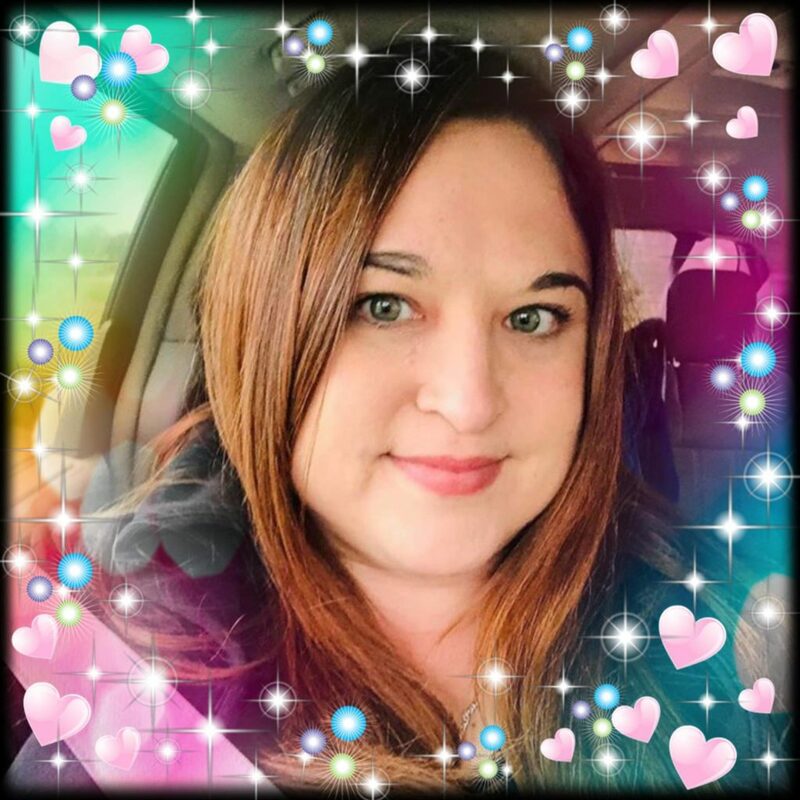 As you may know, I’m not only a blogger and a mother and a freelance photographer, but I’m also the marketing specialist for the family real estate business. Summer is the season to buy houses so I’ve been exceptionally busy with designing ads for the SEVEN real estate auctions we have over the next few weeks. If anyone is looking to purchase a home in Northeastern North Carolina, most of which are within an hours drive of the Outer Banks, shoot me an e-mail and I’ll get you more info. Staying at home with a crazy cute yet mischievous toddler makes it exceptionally hard for me to get anything done during the day so I’m usually up working late into the night. 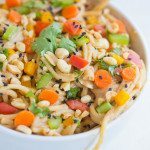 Quick and easy dinner recipes like these Thai noodles save my life. This meal can seriously be pulled together in the time it takes to boil the noodles. Chop any veggies you have in your crisper and make the sauce when the noodles are boiling then toss the noodles into a bowl with the sauce as soon as they are drained. Throw in the veggies then sprinkle on some chopped peanuts, sesame seeds, and fresh cilantro as a garnish and you’ve got an incredible meal that’s ready to eat in less than 15 minutes! 1 cup creamy peanut butter or cashew butter! Add peanut butter, garlic, ginger, teriyaki sauces, soy sauce, lime juice & zest, Sriracha, and sesame oil to food processor or blender and blend until well combined. Spoon peanut sauce into the bottom of a large bowl and set aside. Cook noodles according to package directions, making sure to salt the water when it comes to a boil. Right before the noodles are done, carefully ladle 1 large spoonful of the starchy cooking liquid onto the peanut sauce and whisk to combine. If it's still too thick, add another ladle and whisk. 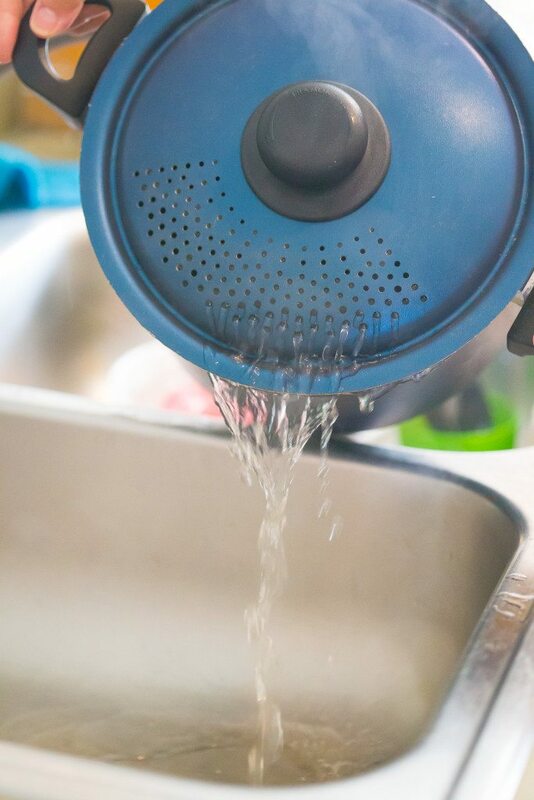 Continue adding hot water, a ladle at a time, until the desired consistency is reached. 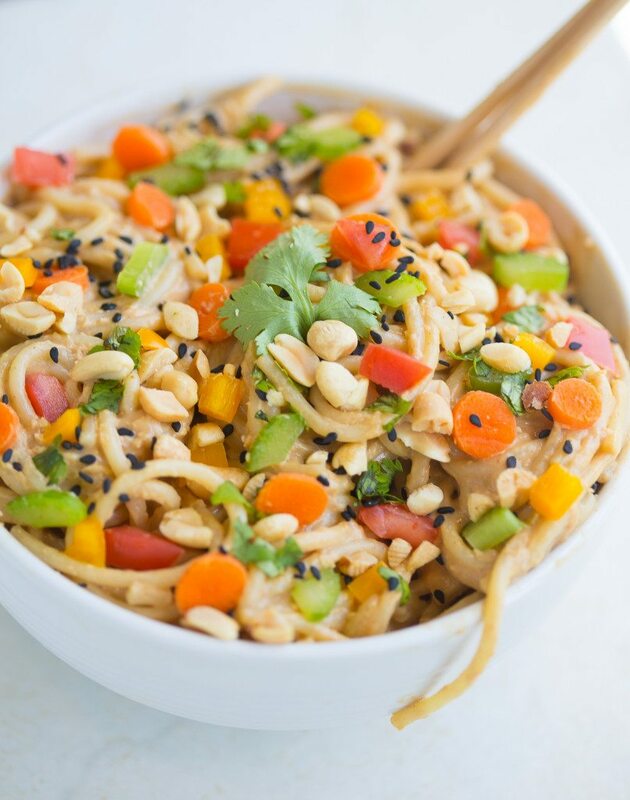 Drain noodles and immediately toss with the spicy peanut sauce. Throw in fresh veggies and cilantro and continue tossing until well mixed. Garnish with more peanuts, sesame seeds, and fresh cilantro and serve. 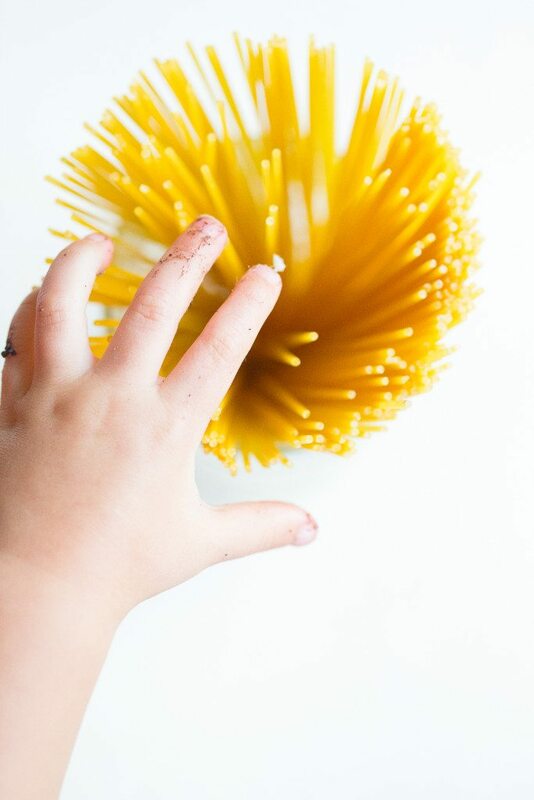 What an amazing looking noodles…love the photos so much..need to try it soon. Definitely pinning this recipe and I look forward to making it soon! I have a similar recipe, but slightly more involved, so I’m trying yours next time!! Thanks for sharing! Thanks, Renee! Let me know how you like them! This sounds great! I love Thai noodle dishes, especially ones with peanut! I’ll be pinning this to make later! I LOVE delicious, quick meals! Looks like a great recipe!! Just Pinned! 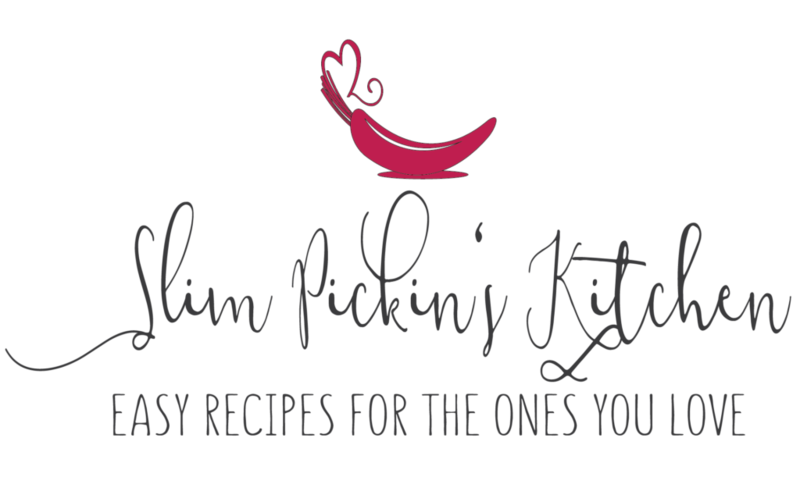 I’d love to try this recipe really soon as I loved it! And such a cute little hand, bless! This looks terrific. Nice phots as well. We eat a lot of Thai. I will pin it to try later. This noodle bowl looks absolutely DELICIOUS! You’re making me so hungry with these beautiful pictures!